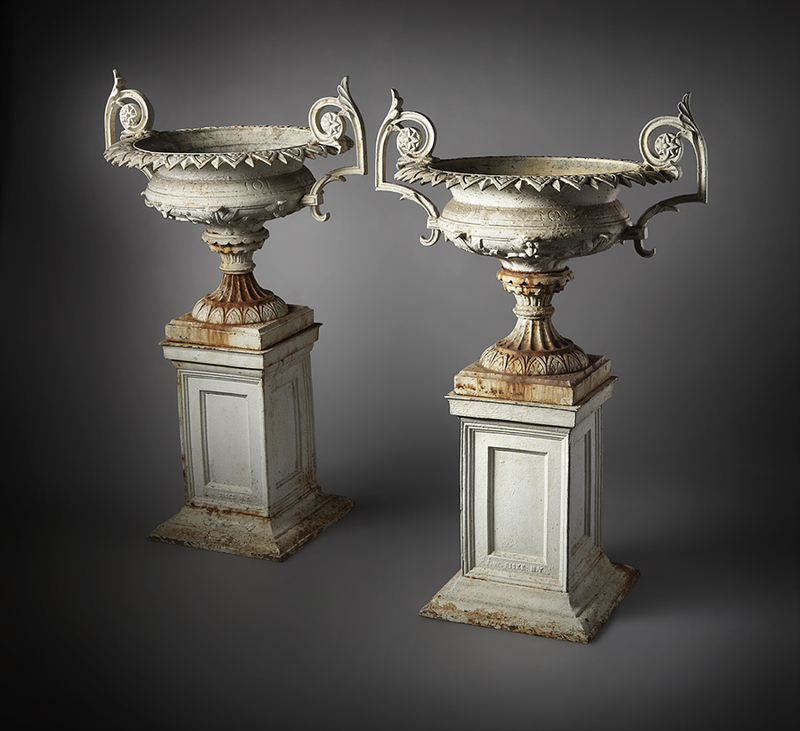 To a pair of ornamental cast iron garden urns Marked J. W. FISKE PAT'D MAY 12TH 1874 NO. 21 & 23 BARCLAY ST. The urns have rich paterea in the aesthetic movement. With original pierced handles and they retain the original cast iron bases also marked JW FISKE. A great garden item.